In appearance, the Fowler engines were a clean, simple design, embodying characteristic features of the period. Typically Midland in origin was the smokebox door fastening of eight clamping dogs, the shape of the chimney, and general layout of the cab. The firebox was the almost standard Belpaire type, but in common with other Fowler designs of this period, was a square, slab sided structure, and. not ”waisted in” to fit between the frames. Quite naturally, they were paired with a six-wheeled Fowler tender of’3,500 gallons water capacity straight sided, and with no coal rails. The class was not subjected to any extensive modifications during its working life, though whilst it was in vogue in post war years, equipment for oil firing was fitted to five locos.- Nos.49511/33/613/42/70. Intended for haulage of heavy mineral trains, many of the class were to be found in service in the northwest. They were not a successful design however, and were withdrawn from service quite rapidly, particularly in the early post nationalisation years. In fact., by 1950, of the original 175 locos. in the class only 83 remained in service, 71 of these at seven north west depots. 49511 was the sole remaining oil burner, and in 1950 was allocated to Agecroft shed in Manchester. By far the lion’s share of these 7F 0-8-Os was allocated to Aintree, which,in1950 housed 27, with 17 of the remaining 37 in 1954. Most then were to be seen at work in the south of’ the region, with largish studs at Newton Heath and Agecroft, with a smaller number across the Pennines in Yorkshire. All had been withdrawn by the end or the decade. Strangely perhaps, the Austin 7s were outlived by a number of locos. of classes from which the design was a development, including five members of the ex-LNWR class G2a at Bescot (2F),in 1964. And, one of these had had a particularly chequered career, beginning life as a Webb 4-cylinder compound in 1901-4. It was then converted to a. 2-8-0 compound by George Whale in1906,and re-converted to an 0-8-0,2-cylinder simple expansion by George Hughes in 1923-5. But that, as they say, is another story! of the Midland Rly. style double buffer beams painted red. Surprisingly perhaps this ex-LNWR design lasted far longer than either the “Sea Pigs” or the Fowler “Austin 7’s”. 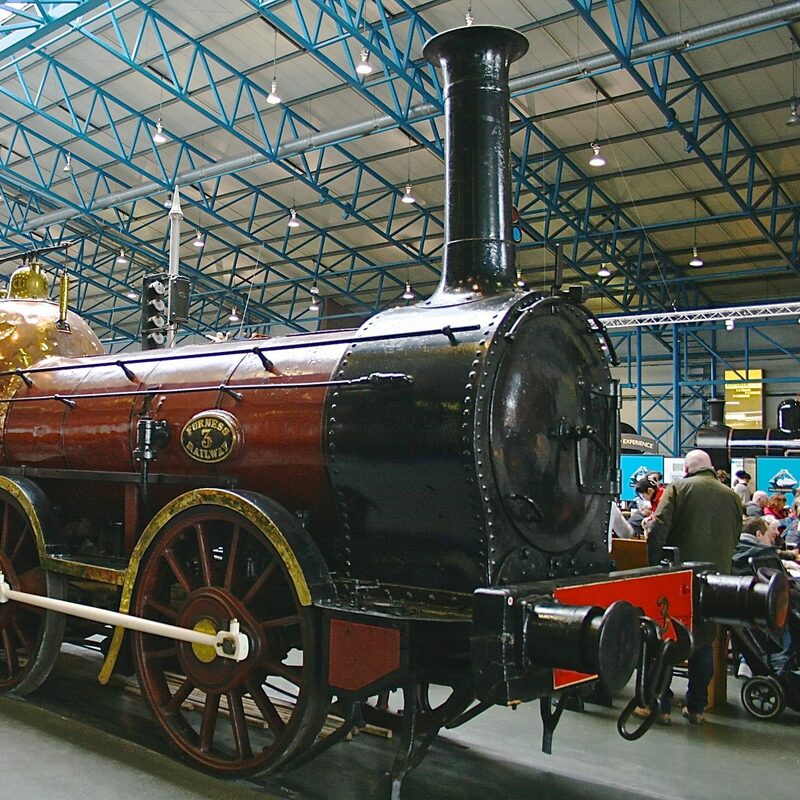 An example even managed to achieve preservation as part of the National Railway Museum Collection, and was for a time on the East Lancashire Railway, before being housed at Shildon.